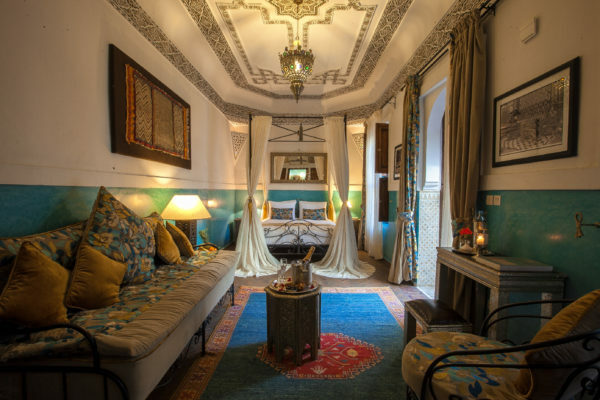 SO WHAT IS A RIAD? 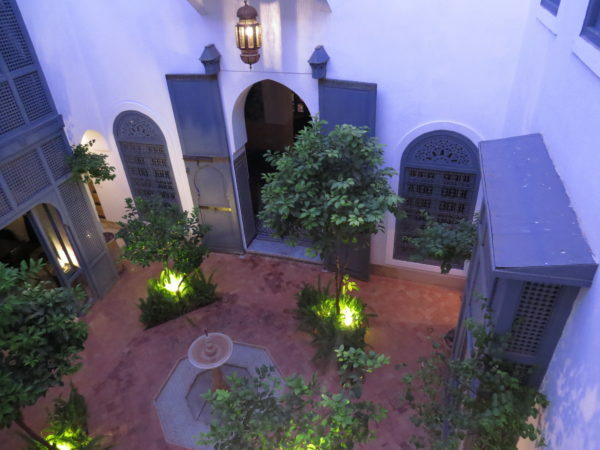 The word Riad comes from the Arabian term for garden, “ryad”. 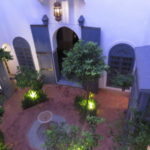 A Riad is a traditional Moroccan house with a garden or courtyard on the inside, often with a fountain or pool. 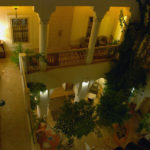 Most Riads would be at least 2 storeys high with the bedrooms looking onto the internal garden and with a roof terrace. 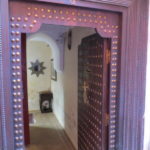 In other words the opposite to a traditional western house. 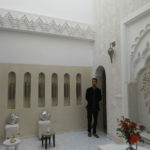 There are over 1,500 Riads in Marrakech, many joined together. 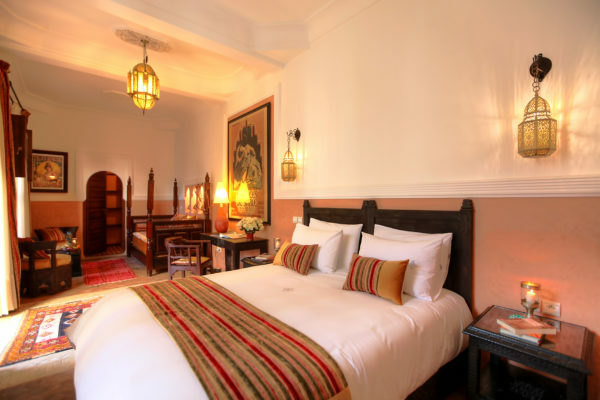 They could in some cases be described as boutique hotels, bed and breakfast, guest houses and the larger ones as hotels. 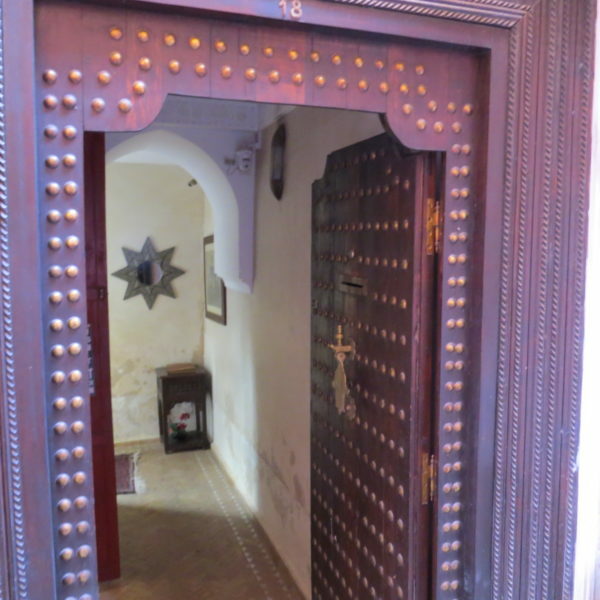 The traditional Riad offers a private entrance (usually a simple wooden door) through which you will be transported from the crowded alleyways and busy street markets of the Medina into a secret world of privacy, beauty, simplicity and tranquillity. 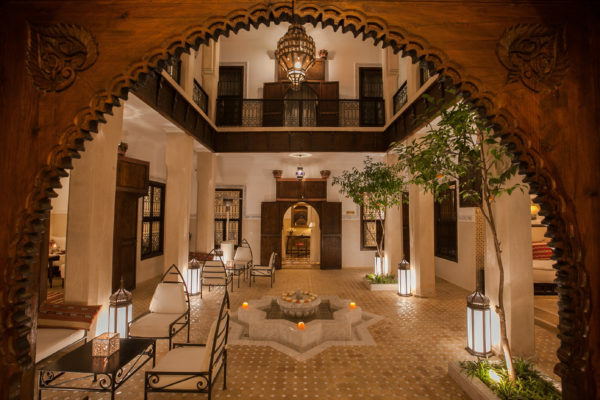 All our Riads are fully staffed 24/7 throughout your stay. 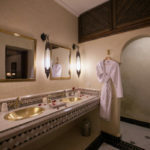 Excellent service is a big part of the Marrakech experience. 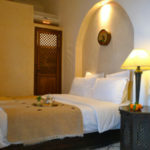 The Riad staff will look after your every need whilst remaining discreetly in the background. 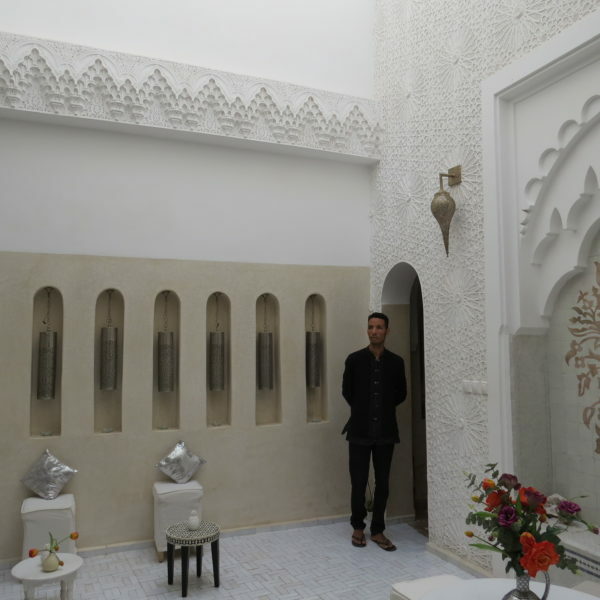 In addition to our concierge the Riad staff are a great source of information and advice for what do or where to go in Marrakech. 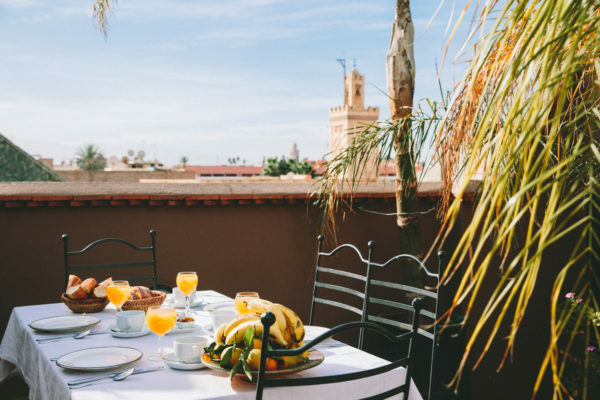 All the Riads have their own cook who will prepare traditional Moroccan food and we would recommend eating in at least once during your stay. 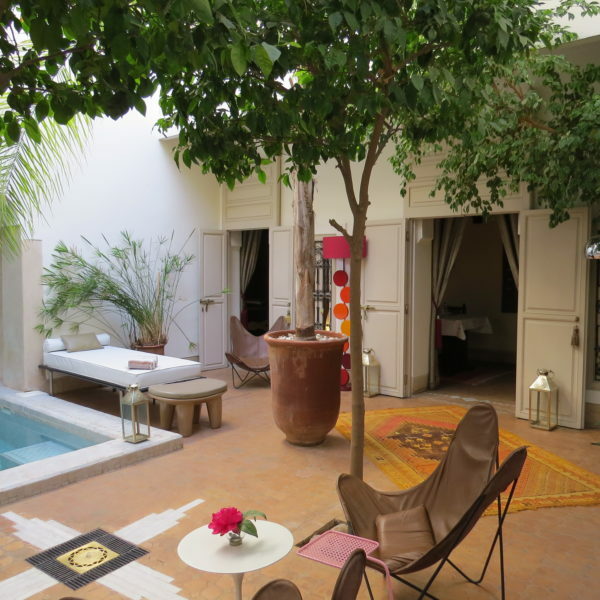 For those that prefer an informal cooking class this can be arranged in the Riad. 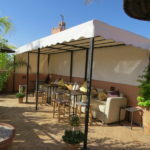 All our Riads have roof terraces, other seating areas and usually some kind of pool. 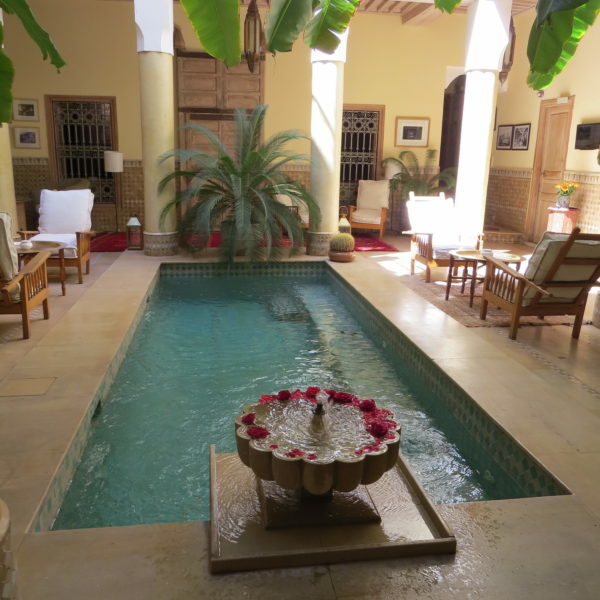 Some Riads have a pool on the roof terrace but most are in the inner courtyard. 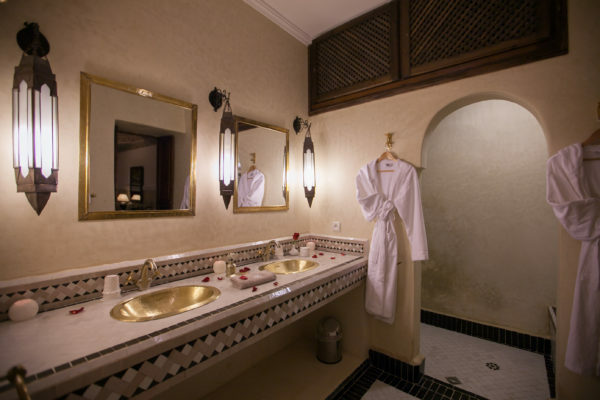 They are good for cooling down but should not be described as swimming pools which are only available in the larger Riad hotels. 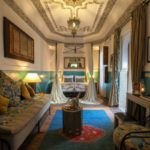 Some of the Riads have their own spa/hamman rooms and most will arrange massages for those that prefer not to visit one of many spas in Marrakech. 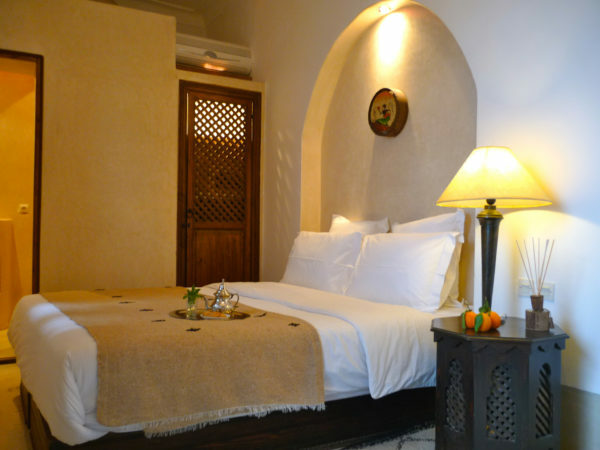 For groups coming to Marrakech we believe the exclusive hire of a Riad is a great option. We have a selection of different size Riads we can offer depending on the size of your group. 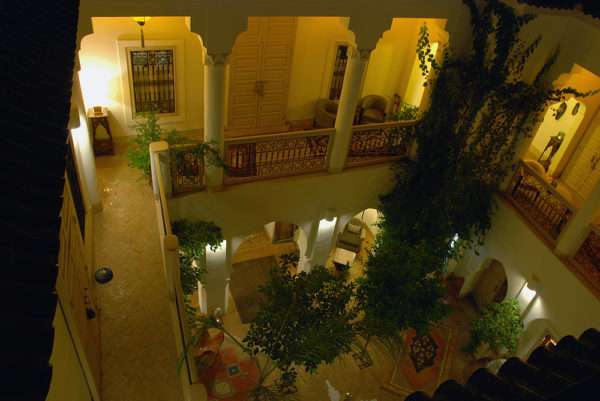 If you are intrigued by the idea of an exciting golf break to exotic Marrakech then contact us to discuss further.